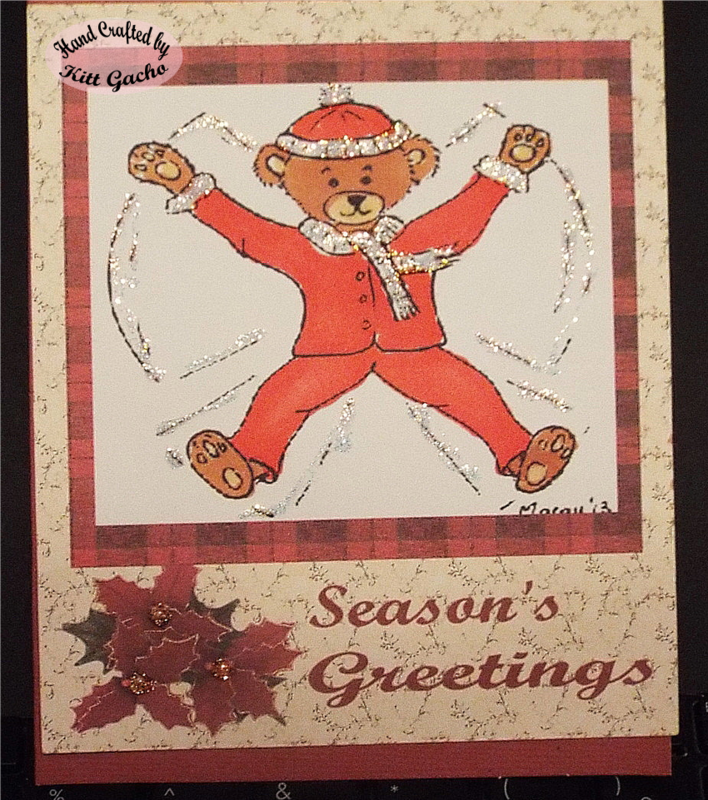 Here is my card for the challenge over at Artistic Inspirations Challenges . Be sure to stop by and see what the talented DT has for your winter inspiration. I used Silhouette Cameo to print and cut the card. I created the background with the Scrapbook Max program. For the sparkle I used Stickles Diamonds. I like using that because it doesn't matter what color you want to add some bling. As you can see the color on the flower comes out gold and the scarf white come out like diamonds. Thanks for stopping by today an leaving your comments. Keep warm in those northern places and have a happy crafty day.